Hi Everybody! 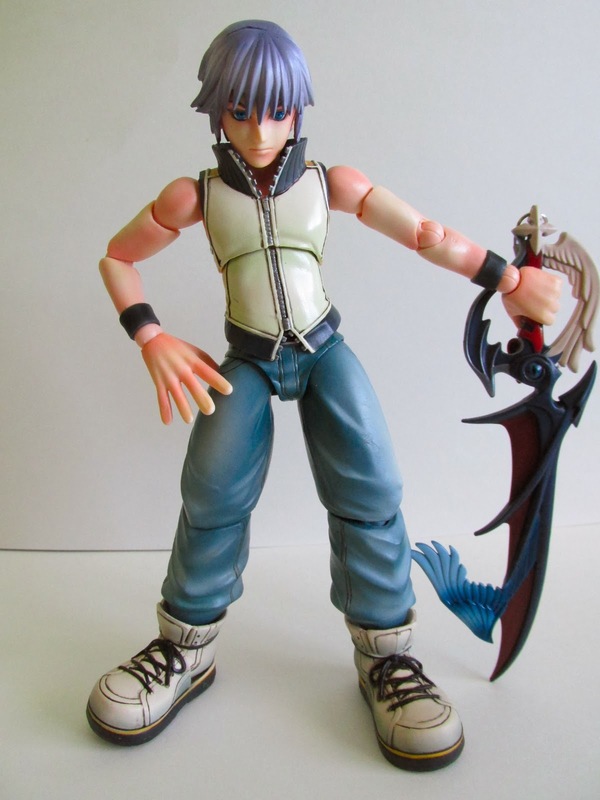 I’m back again and this time taking a look at a new addition to my collection from Square Enix’s Play Arts Kai line of Riku from Kingdom Hearts. If you aren’t familiar with the Play Arts Kai line then you should know that these are heavy-duty action figures. Unlike other high end collectibles, these are made to be played with like an action figure yet still retain a high level of quality that you would get from a static PVC figure. This figure is much more than I expected. The paint job on him looks great and is very true to the colors from the game. He is well sculpted for a figure of his size, and the sculpt creates a level of fine weight definition in his clothing, especially in the sculpting of his pants. 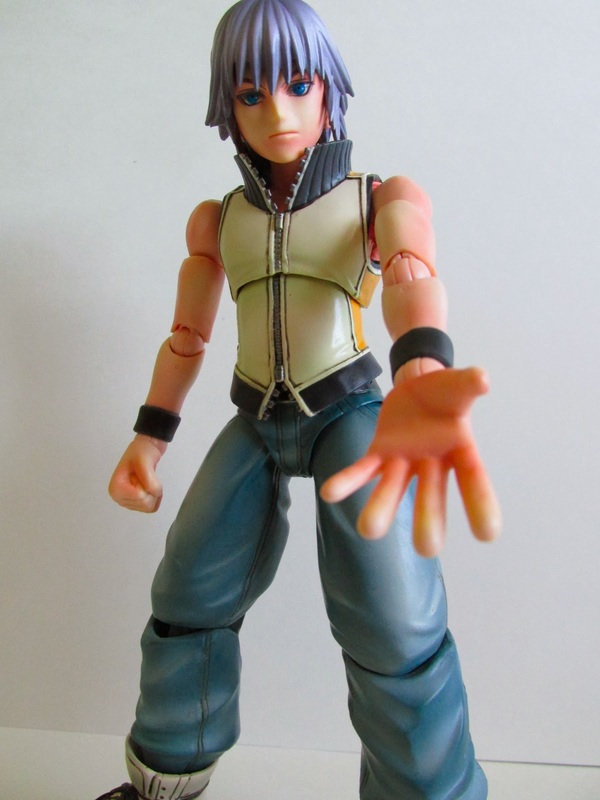 Riku has lots of articulation and his joints are very durable so no worries of anything breaking from all the poses you can pull of with this. The toy joints don’t stand out too bad mostly because of the superb paint job. The figure is so well balanced in weight that he can stand on his own and doesn’t need his base he comes with. 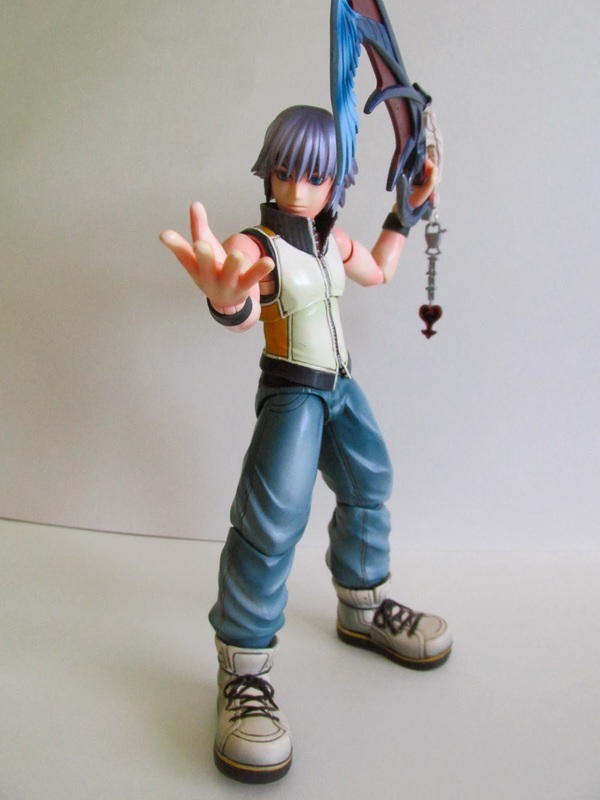 Riku comes with several accessories. He comes with three keyblades from Kingdom Hearts 3D, which are his Way to the Dawn, Divewing, and Unbound. He also comes with to open hands, two fists, and two hands made to hold a keyblade. The keyblades look amazing and are worthy to any keyblade masters out there. The keychain on the keyblades are made of plastic but still look believable enough. 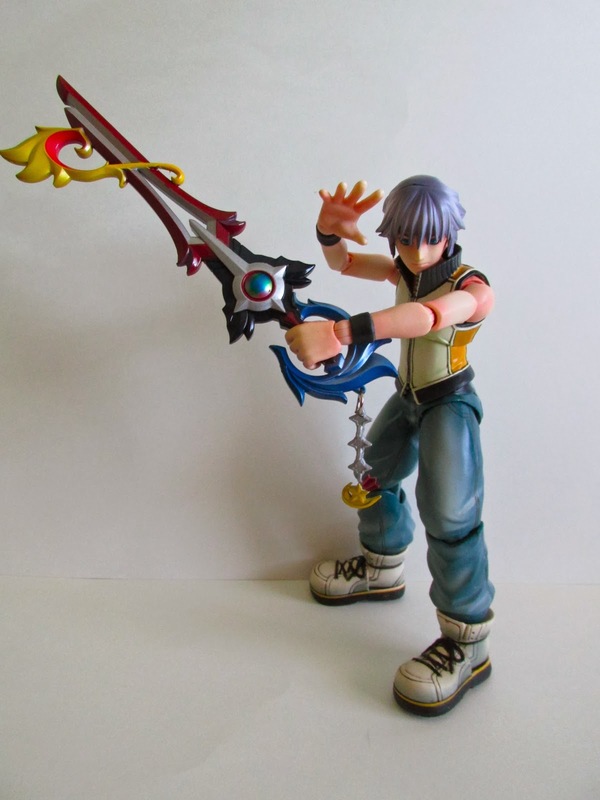 The only problem I have with this figure and with my Tron Legacy Sora figure is getting the keyblade in their hands. The hands are not soft or pliable, which makes the keyblade hard to get into their hands. It just takes some muscle work to make it fit. I was worried about scratching the paint at first, but again this is a pretty durable figure. I’m very pleased with this figure and surprised it came out better than I expected. I initially thought that this was going to be a mediocre figure but having it and seeing it in person has clearly changed my mind. Because of the articulation and great paint apps, I’m very pleased to now own this figure. It has impressed me so much that I just bought Sora to complete this series. Thanks for reading and stay tuned for Sora.